A friend of mine (thanks Jen!) just sent me a link to a New York Times article about the American Writer’s Museum, which opens in Chicago on May 16, 2017. Very excited to visit the museum during my stay in Chicago for the Urban Sketchers Symposium in July – especially since my illustration work will be part of the exhibit! 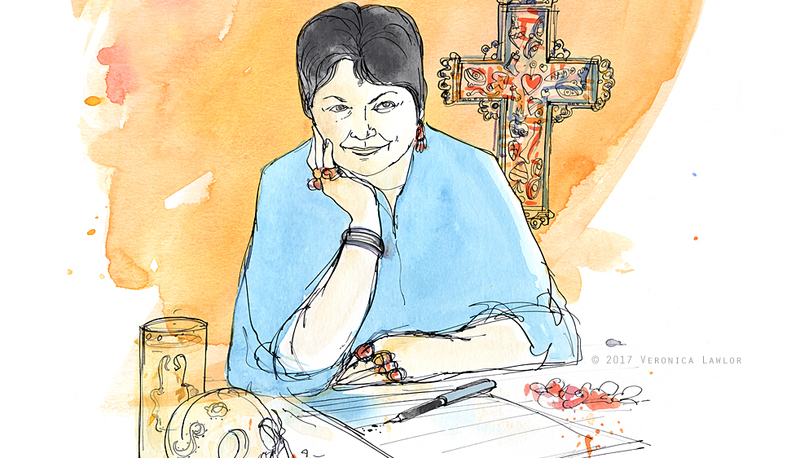 It was such an enjoyable project – I had the opportunity to create portraits of some amazing authors, such as Gloria Anzaldua, above – as well as illustrations about their process. What their routines were, how they got themselves in the mode to write, etc. Learned a few things too, and read some good books during my research. My work will be featured in the “Mind of a Writer” display. Here is the link to the Times article about the museum: LINK. You can see the Anzaldua portrait installed in one of the photos. Thanks to Andrea for the great assignment!